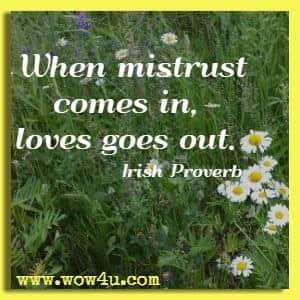 A collection of love trust quotes to remind you that you can't have love without trust. 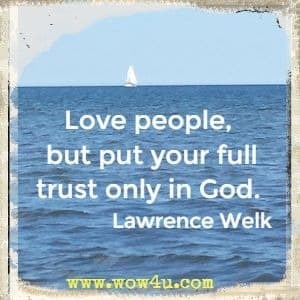 And how important it is to trust those we love. We do not need a minute-by-minute breakdown of where our beloved has been or what she or he has done because we trust them. Andrew G. Marshall, How Can I Ever Trust You Again? 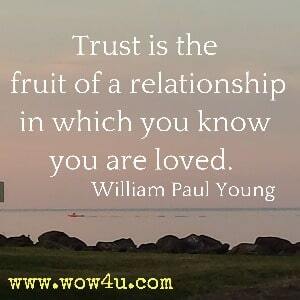 The more trust that exists in a relationship, the more you look out for each other. You have your beloved's back, and vice versa. John Gottman PhD; Nan Silver What Makes Love Last? 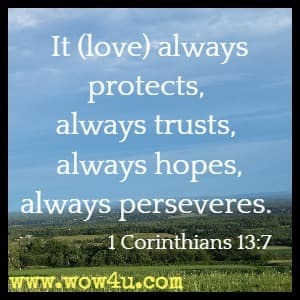 It (love) always protects, always trusts, always hopes, always perseveres. Mature love is composed and sustaining; a celebration of commitment, companionship, and trust. H. Jackson Brown, Jr. True happiness will then be thine.